I’ve always found Sam’s Club to be a good place to buy wine. They have an interesting, if limited, selection ranging from inexpensive, mass-market wines to pricier fare. Some of their best offerings are inexpensive wines that are hard to find elsewhere. For example, after trying one bottle of the rather amazing Cameron Hughes Lot 250 Meritage 2009 that cost a mere $8, I hustled back for another half-dozen bottles. That wine is a one-shot deal – when it’s gone, it’s gone. 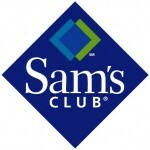 A dependable and even cheaper offering that Sam’s Club always stocks is the nice Veo Grande Cabernet Sauvignon that ships in wood crates. Of course, Sam’s has no expert staff to advise you or suggest a wine for a particular purpose. Finding a human of any kind is tough enough. They have always compensated for this by displaying each wine in its own bin with an information card next to it. This card, in addition to the basic identification and price info, often contained a brief note about the wine and, in particular, point scores awarded by well-known sources, like Wine Enthusiast or Robert Parker. I’ve found a few good buys that way – highly rated wines at bargain prices. Occasionally, one might see a “buyer’s choice” designation, which I interpreted to mean that the Sam’s wine buyer had liked the wine in question (usually quite obscure) enough to buy a quantity. Of late, though, this reliable information system seems to be deteriorating. I’ve seen greater use of ad cards (provided by the winery) which take the place of the old rating notes. Even more annoying is that the tasting notes don’t seem to be updated – the ratings are a couple of years older than the vintage that’s in stock. In one case, the only rating for a 2009 wine dated to 2001 – of what possible use is that? On my last trip, I found just a small percent of the reds that had applicable rating notes. I suppose with a smartphone it wouldn’t be difficult to search for a given wine on the Web, or even scan its barcode, but that’s not the most convenient way to check out more than a couple of wines. Is this a local phenomenon, or are you seeing this too? My feeling is that if you are going to be completely self-service, which Sam’s Club certainly is, you must give consumers the information they need to choose products with reasonable confidence. They person coming in to buy a 60″ flat screen TV will likely have done extensive homework and brand comparisons, but the typical wine buyer is more likely to come in looking for something no more specific than “a nice Cab that doesn’t cost more than $15.” Opinions? This entry was posted in Wine News and tagged ratings, robert parker, sams club, wine enthusiast on December 14, 2011 by Roger. I miss seeing a wine (Razzle) in you stock .What happen to that brand? I loved it.